Step back in time to the seductive Hollywood of the 1940's with the Lyric Stage's production of City of Angels. You are invited to celebrate the beginning of May with a special Fort Point Night at the Lyric Stage complete with a champagne reception and discounted ticket offer. Grab a friend and join your neighbors for an entertaining evening of theater. Use code FORTPOINT to save $20 per ticket. Buy online or call 617-585-5678. Transportation generously provided by Southie Shuttle. 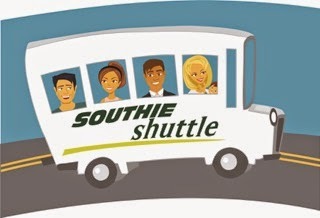 Meet up at 7 pm at Barlow's Restaurant (A & Binford Streets) to catch the Southie Shuttle to Lyric Stage. City of Angels, winner of 6 Tonys including best musical, chronicles the misadventures of Stine, a disillusioned young novelist attempting to write a screenplay for a tyrannical movie producer. As his marriage falls apart, we follow Stine’s film alter-ego, the dashing detective Stone, who is haunted by the memory of the girl that got away. With a jazzy, brassy score, City of Angels simultaneously spoofs the glamorous real world of old Hollywood and the film noir “reel” world of thugs and femme fatales.